High season scheduling is coming to a close. Please inquiry about dates which work for you. Let’s take a stroll through the town’s central food market to pick up some ingredients, peruse the many variety of fresh and dried chiles and try small portions of Mexican some of the roasted and seasoned delicacies typically prepared and eaten in the market. From there, we’ll head over to the very heart of town, ‘El Jardín’ to the quaint shop of a local winery to try their selection and choose one suited for our meal. And then head back to one of San Miguel’s most coveted old properties with a working organic garden just steps away from the ‘El Jardín’. In a large, square and wooden kitchen, we’ll prepare a festive meal while enjoying a cheese tasting of a variety of typical Mexican fresh types, making fresh and roasted salsas combining different chiles, as well as all the main vegetable and meat ‘guisos’ or stews that will highlight what is in season (and, therefore, be the most delicious), all variations of traditional Mexican recipes. A grand sunset meal on a beautiful terrace above the organic garden. Requisite : Come hungry and with walking shoes. All ages welcomed. Two person minimum. Great class for groups. Group rates available. Please state any food restrictions at time of booking. Includes : All ingredients, wine (one bottle per 4 persons) for a grand meal, a digital recipe pack, & a thorough and visually stunning ebook on the Fruits & Vegetables of Mexico. Stop by our quaint market kitchen for a few hours to familiarize yourself with the properties Mexico’s large variety of fresh & dried chiles, make delicious fresh & roasted salsas and enjoy them with a 'tabla' of typical cheeses from local, organic dairies. Class will focus on Mexico’s ‘milpa’ production - the many varieties of corn, squashes, beans & fungus typically cultivated in the region. You’ll taste your way through class and enjoy many botanas. ‘Guisos’ from the Milpa (the local harvest) working with Huitlacoche, a special corn delicacy- when available. Chayotes, calabazas, frijoles, nopales - depending on what’s fresh in the market. Anyone can cook good, nutritious food for themselves! This class shows you how easy it can be. We cover the principles of basic human nutrition, simple cooking hacks for eating real food on a regular basis, and how to spice things up when you’re ready to serve. 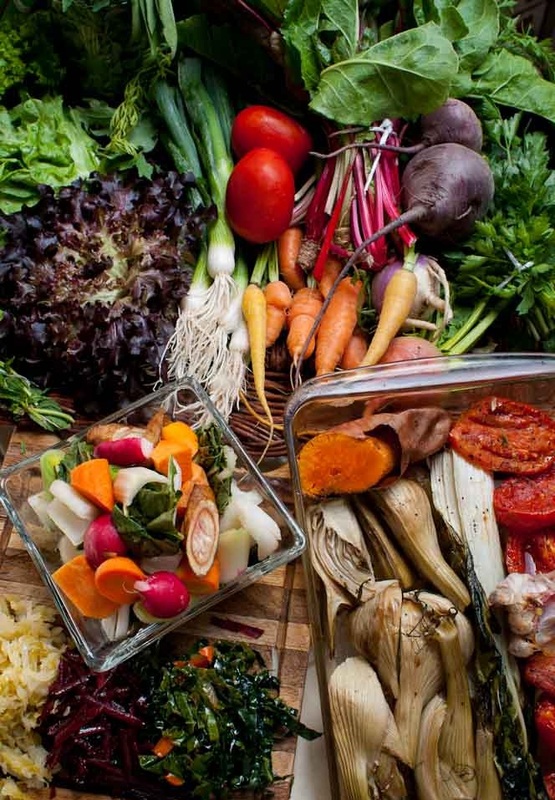 If you love shopping for fresh food, this is the class to take to show you how to take advantage of the bounty and not let it die in the crisper. 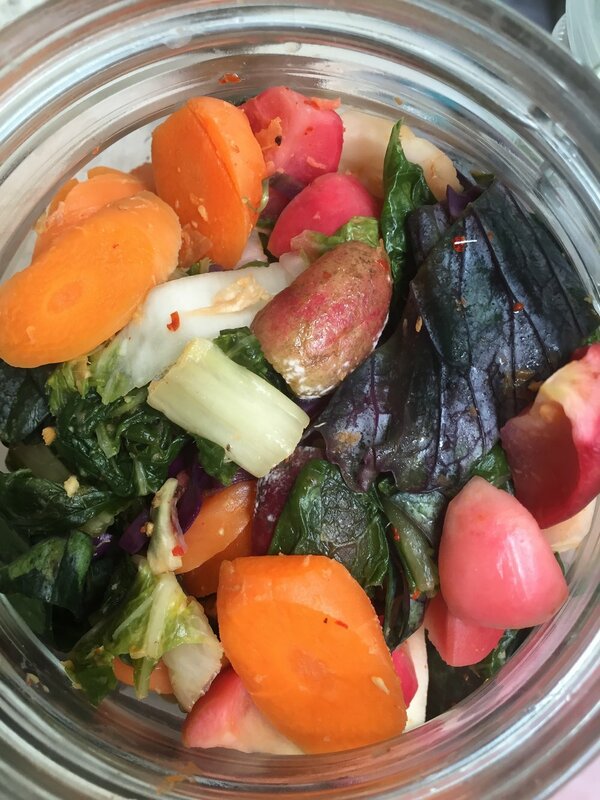 There is absolutely no alternative to homemade food in terms of caring for your health! Hands-on Classes Learning Knife Skills, Cooking with Spice Blends & Flavoring & Understanding the Basics Components to Real Nutrition & Stable Health. Ideal for those who want to up their kitchen skills & know the truths about health and nutrition as well those wanting to reverse chronic symptoms such as bloating, gastritis, sugar levels with food. Create a monthly food club with a group of friends. Each month, explore a different topic chosen by the group - learning new techniques and ingredients as well as recipes from around the globe. This is a great way to up your game on healthy cooking practices, knife skills and adding more recipes to your repertoire! Contact me to schedule the first intro group class in our kitchen today! There is absolutely no alternative to homemade food. There’s no substitute for being able to give yourself the best that you can feed yourself. The rise of organic farmer’s market, pasture-raised meats and healthy dairy, pesticide-free real food, eating well at home is an option and easier with the ideas I offer in this class. This class shows you how eating at home with a little dedication is easy, delicious and less hassle. If you love shopping for fresh food this is the class to show you how to take advantage of the bounty and not let it die out in the crisper. 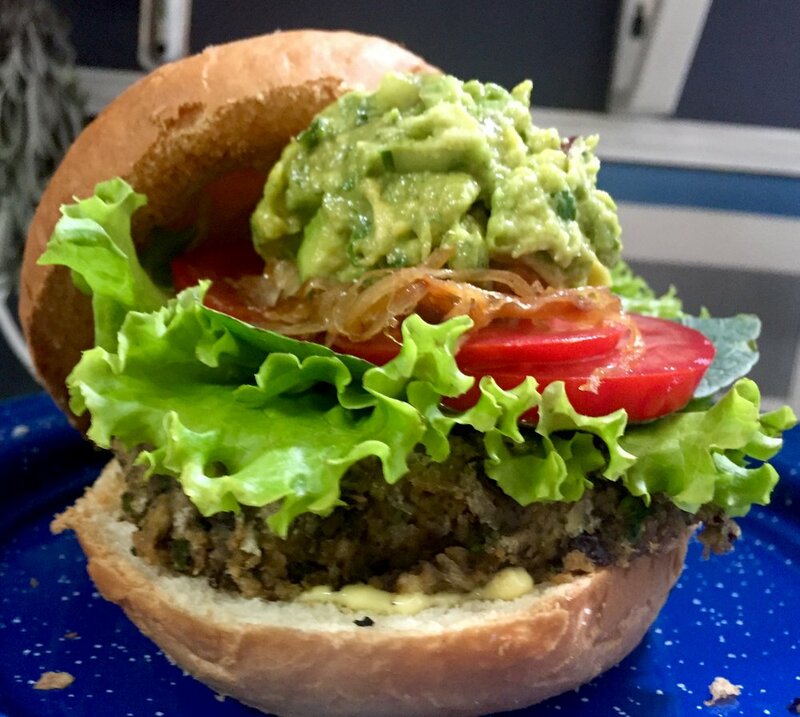 If you can say to yourself that you can honestly find the two hour space it takes to make a batch of veggie burgers, then in the class you can learn 3 great and different recipes for fixing yourself and your family nutritious plant-based burgers to have on hand all month when you don’t have time from much food preparation. I’ve come up with a great black bean burger, a quinoa burger and a popular lentil and oatmeal based one. This is a tasty class complete with all the fixings. Grass fed beef is increasingly in demand as a general population is coming to the understanding that factory-raised meat is not only inhumane, but harmful to our health. For those who would like to eat less meat, but quality meat this class offers a tasting in various cuts of meat raised completely pastured on over 800 acres of Rancho Canada de la Virgen, San Miguel de Allende and now available in Mexico City. With a few tips and tricks, pastured meat offers the best option for healthy, nutritious meat at home. Miso cabbage with roasted almonds, kale ‘ceviche, Sicilian panzanella or bread salad, true Greek salad, creamy yogurt dressings, simple Asian-inspired, beans cured citrus cilantro, shredded beets in balsamic… Pura Vida Kitchen has an endless list of salad recipes that can add to your go-to recipes and get you to use more and different types of vegetables and dressing flavors. The rising popularity of probiotic foods is actually a return to a old, solid kitchen nutritional wisdom. Human bodies are home to millions of bacteria which we depend on for a incalculable number of basic bodily functions. Science is still catching on while tradition still offers us the wisdom and knowledge of incorporating rich and diverse foods into our diets. Sauerkraut from Europe, Kim Chee from Korea and homemade yogurt are simple , nourishing ways to have rich probiotic foods at home. What could be better than homemade ketchup, mustard and mayonnaise. It’s a dream come true. As best as we can control for healthy ingredients, packaged condiments can sneak into our kitchens bulking up calories and sugar intake in a seemingly harmless way. In this class we will make a classic ketchup, explore alternative flavoring, deconstruct the fiery elements of yellow and black mustard seeds and whip up a smooth mayonnaise with the healthiest of fats. The incredible, edible egg! How to shop for fresh, healthy eggs. Storing and using eggs. Many people think eggs should be cook low and slow, however, this is not the case! Eggs are an incredibly versatile food - they can be sweet, salty, liquid or solid, prepared alone or a hidden, but integral part of so many recipes as a main ingredient or subtle support. We whip up a few dishes with eggs that'll get you making a scramble without a stiff film at the bottom of the pan, a full proof, easy hollandaise from homemade Benedicts & we coddle a Spanish tortilla which can feed you throughout the week. Mexico offers one of the widest and deepest of food traditions and there is so much to learn about chiles, cheeses, spices and food combining from across the entire country. This class offers a great ‘beginner’s guide’ with a local cheese tasting, a review of fresh and dried chiles and learning how to make fresh boiled and roasted red and green salsas. I’ll also introduce clever ways to make beans, work with fresh masa and work with one of Mexico’s best delicacies - huitlacoche (a corn treat). You will walk away with some fundamental recipes and the ability to reproduce them at home, easily. Garam Masala, methi, amchur, fennel, cumin, cinnamon, cloves, garlic and ginger are among the many great flavorings and secrets to great Indian Cuisine. India, too, holds a long tradition of plant-based eating which can be combined with some animal protein for a balanced meal. Many of the spices are familiar, but the methods for toasting and combining them are distinctive. In this class, we make a homemade yogurt cheese (paneer) with a silky spinach stew (saag), a great basic lentil soup (dahl) and sauces, basmati rice and veggie fritters (pakoras) to round out the meal. I spent a month in the island Crete and traveling Greece and learned one of the best lessons about traditional foods and that is that everyone has their own version! Along the way I was able to pick up a few tips and recipes and I especially enjoy revisiting them in this class while making an Avgolemeno Soup (Chicken Lemon and Rice Soup), a classic greek salad and working with phyllo dough to make an assortment of savory and sweet treats. Traditional foods are largely based in plant-based foods and the middle east is a large treasure trove of great recipes using sprouted beans, vegetables and a myriad of spices and herbs. A batch falafel can be on hand as a veggie burgers or salad topping along with the best(!) hummus recipe and working with mint, cumin, lime and other great spices of the Arab world. A daily smoothie can be an energy bomb or an energy equalizer. It can be overloaded with fast calories or, if mixed with the right set of ingredients, it can be an optimal meal that gives steady energy packed with cell supportive nutrition. In this class, we start with a tasting of 5 alternative ‘milks’ and explore our way thru the range of power foods helping you to design the right daily smoothie for you. Garbanzo beans, amaranth, coconuts, rice and oatmeal make great alternatives to wheat flour and in various combinations can be used to make savory as well as sweet treats. In this class we make crackers, sweet breads and other treats that match what you want. Let me know which kind of foods you want to replace with GF flours and we’ll make them. Sweet is one of the pleasures of life and it comes from many sources. When combined with refined forms of foods, sweet treats can cause havoc on the body chemistry and affect the hormones with fast sugar spikes. Good news is there are great recipes for sweettooths which rely on whole foods, healthy fats and minimal carbs. In this class we will create pies and tarts with nut crusts, smooth chocolate mousse without dairy, fresh berry compotes and a lemon cheesecake with no cheese. Nut crusts, cashew creams, avocado mousses, chickpea meringues and chocolate blended with coconut creams.